Shani Dev has moved your from 1st house to 2nd house. Natives born with Moon placed in Libra (Tula Rashi) would be under the influence of Shani Sade Sati. Third and final Dhaiya of Sadhesati has started for Libra. 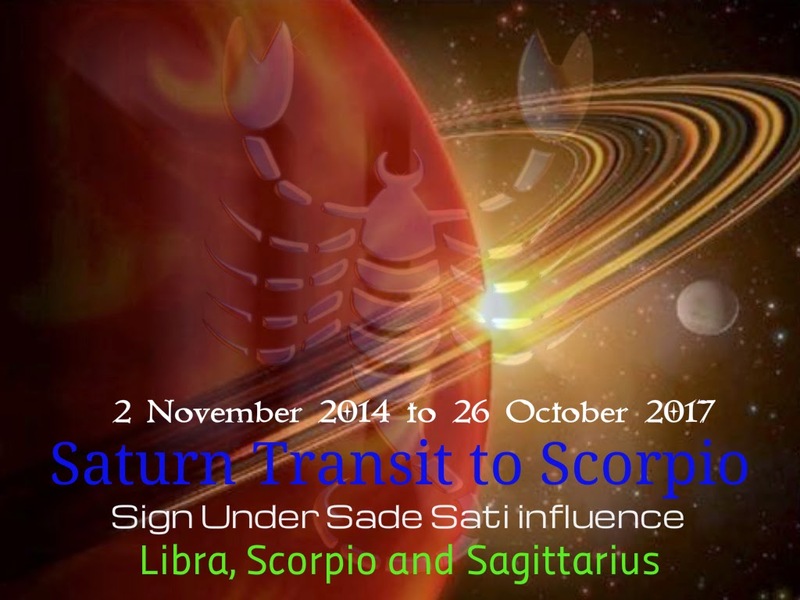 Saturn Transit (Gochar) Results - financial loss & stress, bed debts, loan defaults etc. Time to show your money management skill. Your finance will be like technical chart of money market. I suggest you to learn and implement stop loss techniques for all your financial activities. Drive carefully. Don't give surety in court cases. Don't start any new venture this time. Avoid real estate investment. You will surely gain YASH & KIRTI after this final phase of Sade Sati. This final phase of Sadhesati of Saturn on your birth sign will last until October 26, 2017 resulting end of Shani sadhe sati period. This is starting period of Shani's Sade Sati. In this period Saturn will be transiting in 12th house from the Moon. It generally indicates disputes, financial loss, fruitless travel, and poverty. During this period, you may face problems created by others. This is the peak of Shani's Sade Sati. Generally this phase of Saturn is the most difficult one. Saturn transiting over natal Moon indicates health and mental problems, problems in relationship and sorrows. You will find it difficult to achieve gain and success in this period. This is 'setting' period of Shani's Sade Sati. Saturn will be transiting in the 2nd house from the natal Moon. You will start feeling slight relief after having two difficult phases of Sade Sati. Still, misunderstandings and financial stress can be seen during this period.